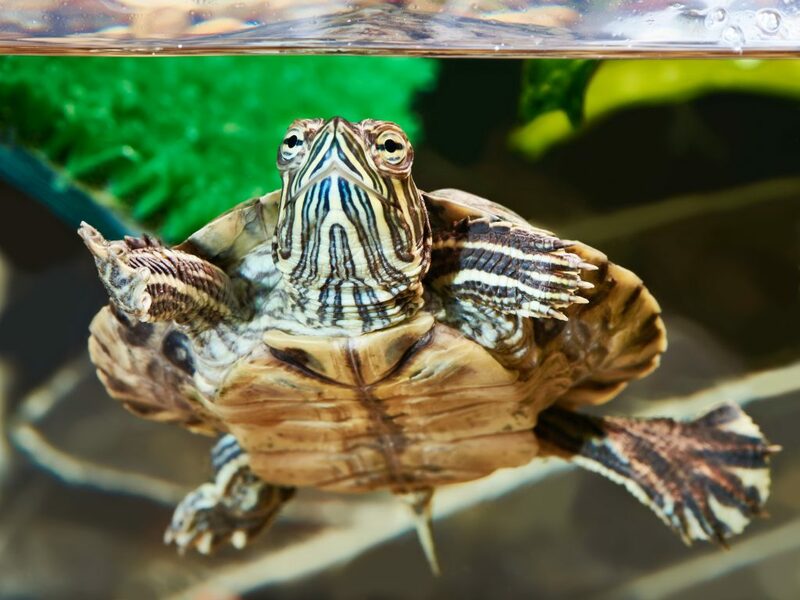 Since your turtle doesn’t live in the wild, their feeding regiment should include a formulated diet that offers all the nutrients, vitamins and minerals they require to be their best! Saki-Hikari® Turtle as an option which is the 1st turtle diet on the market to include a probiotic and highly effective odor-stop ingredients which can also help improve water quality. If you need help, check in with us for help creating a meal plan for your pet turtle. Offer sliced apples, muddled berries, and cubed melons as occasional treats. Be sure to avoid over doing it as this can cause them to avoid properly formulated diets that provide necessary nutrients. Fresh produce is an excellent occasional option. Dark, leafy greens such as collards, kale, or mustard greens alongside shredded carrots and zucchini are excellent choices. Certain types of turtles are omnivorous, meaning they require both animal and plant matter. For them, small feeder fish or worms can serve as an excellent source of protein. Care should be taken to avoid contamination issues caused by parasites and bacteria these creatures can bring with them. Try to buy from a reliable source or use a frozen food, like ®Hikari Bio-Pure® which offers 3-Step sterilization to avoid these issues. Are an alternative form of protein for omnivorous breeds, certain turtles prefer their protein in this form (frozen, freeze dried or alive!). Depending on your turtle and their appetite, certain breeds require additional supplements like Vitamin A, calcium, vitamin D3 and phosphorous. Be sure to discuss your turtle’s unique needs with your pet food specialist or veterinarian.